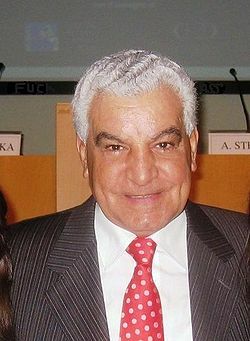 Egypt’s chief archaeologist Zahi Hawass, secretary general of the Supreme Council of Antiquities (SCA) and National Geographic Society explorer-in-residence, announced on November 11, 2008 that Sesheshet was entombed in a 4,300-year-old, headless 5-metre-tall (16-foot-tall) pyramid at Saqqara. Hawass has stated that this may be Saqqara’s most complete subsidiary pyramid. The 118th discovered so far in Egypt, the big part of its 2-metre-wide casing was built with a superstructure 5 metres high. It originally reached 14 metres, with sides 22 metres long. Hawass’s team has been excavating the site for two years. The discovery of the pyramid was made in September 2008 with the unearthing of the 16-foot-tall structure from the sand. Once five stories tall, the pyramid was discovered beneath 23 feet (7 metres) of sand, a small shrine and mud-brick walls from later periods. The third known “subsidiary” pyramid to Teti’s tomb was originally 46 feet (14 metres) tall and 72 feet (22 metres) square at its base, due to its walls having stood at a 51-degree angle. Buried next to the Saqqara Step pyramid, its base lies 65 feet underground. The pyramid of Sesheshet lies near two other pyramids which might belong to Teti’s two wives. Archeologists intend to enter the Sesheshet pyramid by November 25 to confirm it actually belongs to Queen Sesheshet.